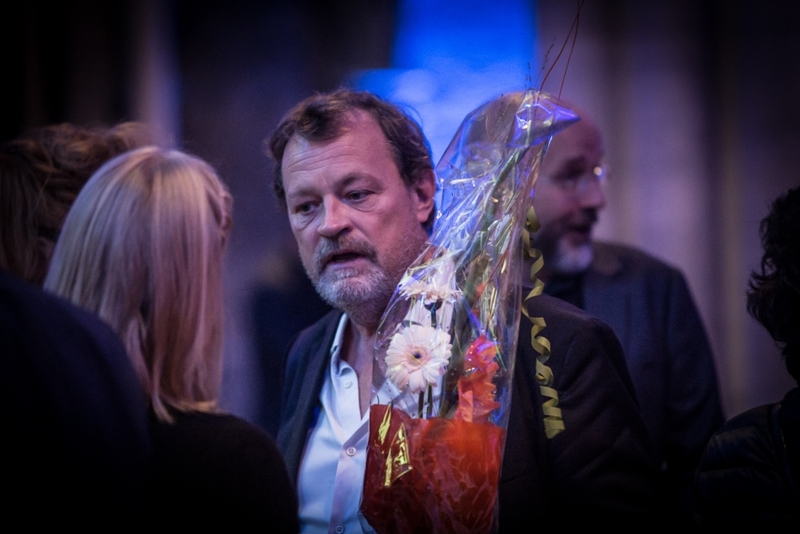 Bent Sørensen, resident composer at Trondheim Chamber Music Festival 2016, has long been described as a composer of death and decline. But isn’t that just because we’re echoing already established interpretations? In the broadest sense, we know how Bent Sørensen feels about death and decline. He was talking about these things two decades ago when the Violin Concerto Sterbende Gärten was first performed, warning ominously that ‘death gnaws away at us’. It’s little wonder we’ve come to identify Sørensen’s music so strongly with these difficult yet strangely beautiful ideas. Nor is it any surprise that his subsequent scores haven’t exactly avoided them. Here was a chance to check if those narratives of decay and decline that surround Sørensen's music have become too overwhelmingly powerful. But there was a new start for Sørensen this year, legally at least. 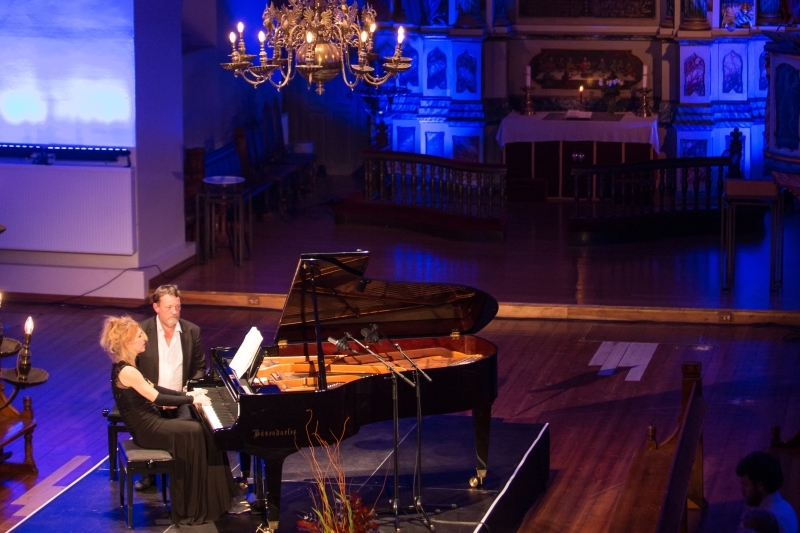 He married the pianist Katrine Gislinge in the Spring, and as Summer turned to Autumn both were present at the Trondheim Chamber Music Festival, where he was 2016’s resident composer. There were no births or unveilings in Trondheim; pretty much every note of Sørensen’s that was heard here has been heard somewhere else before. But that’s why I wanted to come: to hear some familiar music rendered by different musicians in different rooms in a different town – all of it compressed by a tight schedule. How, for example, would the terminal loneliness and decline of It Is Pain Flowing Down Slowly on a White Wall (2010) manifest itself, freshened-up by a festival-opening revival? The answer is, I don’t know. I arrived a day too late. But someone who knows Sørensen’s music better than most told me she’d been caught off-guard by the frequency with which the composer asks for upward glissandos in that piece, not his archetype downward droops. I heard the work when it was performed in Trondheim Cathedral in 2012 and listened to a new recording of it just days before I got to Norway. Even so, I hadn’t clocked that uncharacteristic feature either. But is it uncharacteristic, really? That’s one reason the timing of Trondheim’s retrospective was so interesting, coming straight after what feels like a flurry of Sørensen premieres, recordings and commentary. Here was a chance to check if those narratives of decay and decline that surround the composer’s music have become too overwhelmingly powerful – whether or not they have, in fact, clogged our ears to the detriment of other ideas or even musical truths. The first affront to those received wisdoms was the recurrence of a little Sørensen tune that’s actually about the creation of life, on the surface at least. Sigrid’s Lullaby (2011) is a song for piano written to mark the birth of Leif Ove Andsnes’s first daughter. 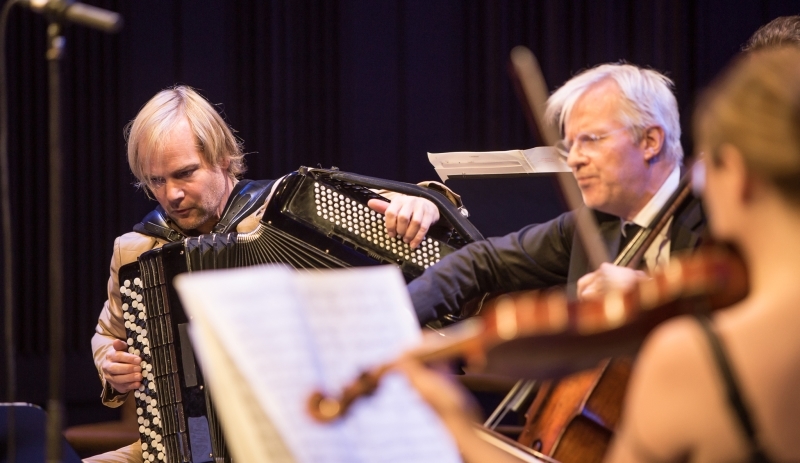 It was the first bit of Sørensen I heard on this visit to Trondheim, squeezed out of Frode Haltli’s accordion in a private living room at one of the festival’s ‘home concerts’. In a domestic setting with a sniffling baby at the back of the room, the effect was magnified even further. Sørensen’s published work list includes just one piece for solo organ, and we might assume the sustaining, black-and-white sonorities of that instrument don’t offer much potential for the composer’s characteristic tools of drifting, smudging and suggestion (on the organ, a note is either played or it isn’t). An accordion might utilize the same basic technology as an organ, but the mechanism is more human and fallible. In other words, the faltering, organic airflow of an accordion means the whole melodic and harmonic structure can drift off as stealthily as it arrived, like the metaphorical plume of smoke. That gives the accordion version of Sigrid’s Lullaby an extra level of vulnerability, as manifested on Haltli’s new recording of the piece on the ECM release Air (the recording also includes Haltli and The Trondheim Soloists in It Is Pain Flowing Down Slowly on a White Wall). In a domestic setting with a sniffling baby at the back of the room, the effect was magnified even further and the piece felt that bit more cutting, not least as its familiar shapes characteristically slipped from our grasp just before they got cozy. Later in the week Gislinge arrived at Sigrid’s little tune via its cameo appearance in the sixth and ninth movements of Sørensen’s set of twelve Nocturnes (2000-14). All over these pieces is the concept of familiar ideas being crushed by heavy pianism or rendered intangible and transparent by light, delicate pianism (the Nocturnes cover pretty much the whole pitch range of the piano). But in the version of Sigrid’s Lullaby that pops up as the set’s ninth movement, you hear every strand of melody, harmony and accompaniment. We did in Gislinge’s performance, anyway. Beethoven’s finale sounded every bit as neo-Gothic under Gislinge’s fingers as Sørensen’s Nocturnes are on paper. This late-night concert was the purest and most revealing I saw all week, a programming masterstroke in its placing of the two sets of six Nocturnes (the first set written for Andsnes, the second for Gislinge) either side of Beethoven’s Moonlight Sonata. Sørensen himself turned pages, and his face was often a picture. Beethoven’s finale sounded every bit as neo-Gothic under Gislinge’s fingers as Sørensen’s Nocturnes are on paper. The counterpoint that wraps up his final movement Und die Sonne geht auf is as calligraphic and sophisticated as anything he has written. The fourth Nocturne Barcarola is a fascinating example of the composer doing his ‘fragmentary’ thing but in the context of perpetual motion. It is, effectively, a cascade of notes: motifs appear momentarily like images reflected on the surface of a waterfall. Gislinge tapped the pained beauty of this music in a way it was hard to imagine any other pianist getting close to. That fourth Nocturne is surprising because of its continuous sound; more recently Sørensen has been underlining the beauty of silence by sometimes appearing hesitant to fill it. The previous evening, Minnelieder – Zweites Minnewater (1988-1994) had the same effect. This is a piece with girder-like strength and a continuous, roller coaster-like trajectory that you don’t hear much from Sørensen these days. 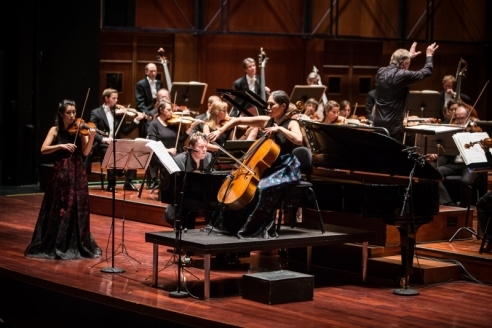 The piece ultimately loses altitude before coming to a halt, and the performance from the Trondheim Sinfonietta under Torodd Wigum suggested a conscious de-throttling rather than a sense of nervous or physical collapse (however long-drawn). By contrast, the violin of The Lady of Shalott (1987) slips downward time and again as if unable to find traction in the real world, with real ideas (the Lady’s predicament). The violin reaches out only to withdraw, but the effect of this performance from Sveinung Lillebjerka was too withdrawn to make sense of the reaching out. Haltli, by contrast, had the measure of Looking in on Darkness (2000), capturing the sense of disintegration as the opening ostinato half-returns towards the end, like a structurally unsound shadow of its former self. So far, so Sørensen: I’m afraid those old descriptors, to my ears at least, still ring true and I happen to believe it’s that very consistency – heard in music that might follow similar paths but always seeks to know those paths as if for the first time – which makes the composer one of the most relevant around. So far, so Sørensen. (...) But there are new impulses at work in his music. But there are new impulses at work in Sørensen’s music. One of them, as suggested, might be its increasing silence. Another is a sort of wave-like throbbing suggestive of inextinguishable life, perhaps the older Sørensen’s stand against his pessimistic (or realist) younger self. It’s not altogether new; it bubbles up in Under himlen (2003) and there are hints of it even further back than that. 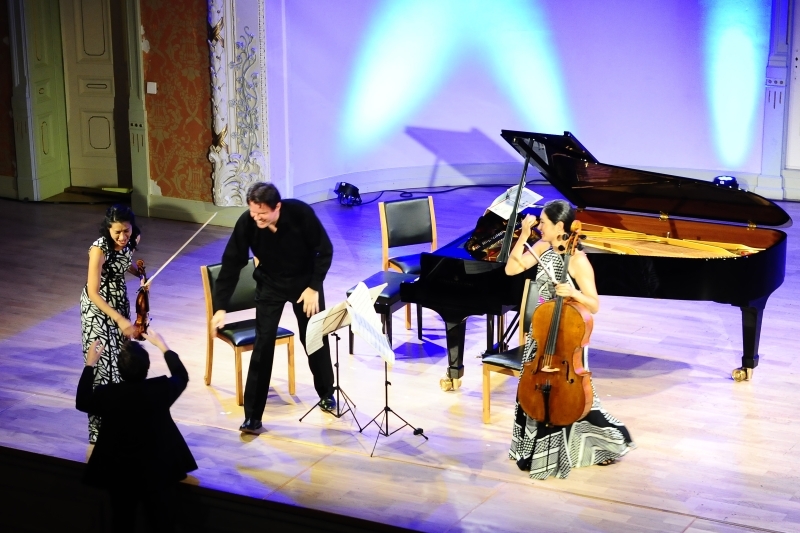 But it emerges with serious intent in the new triple concerto L’isola della Città (2015) and makes itself felt, too, in Papillons (2013-14). Papillons is a trilogy consisting of Pantomime, Rosenbad and Mignon. Each score uses the same central piano part across its seven movements, but each varies the order those piano movements are played in, and each places it in a different instrumental context. 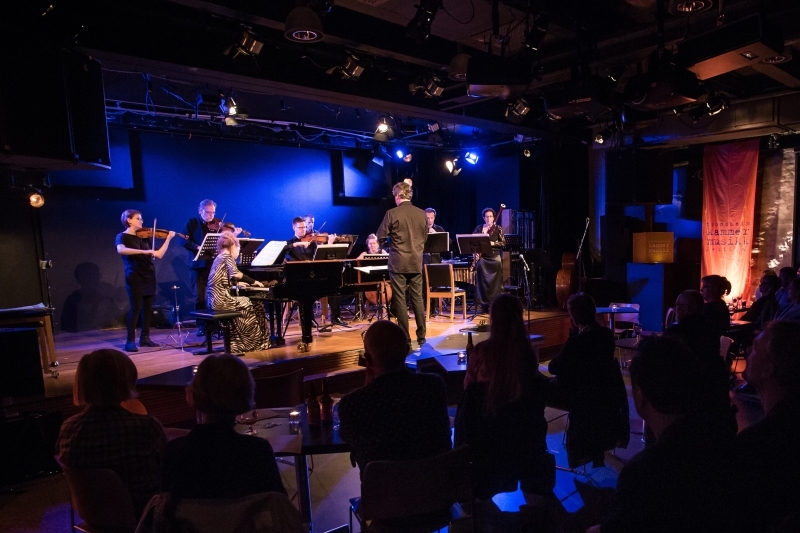 As a finale to the Sinfonietta concert in the intimate main space at Dokkhuset, we heard Pantomime – the medium-sized of the three pieces, scored for piano and ensemble. I happened to have just heard Mignon, the biggest score of the trilogy (in a vertical sense), and maybe the impact of that piece led me to conclude that Pantomime isn’t the best of the three; I remain uneasy, too, about the textural relevance of the unidentified electronic instrument lurking at the back. Anyhow, in the untitled first movement we hear that throbbing first on piano, later spreading through the ensemble, washing up like little waves. It feels like the most organic of impulses – not least as it’s so clear, in a sonic sense – but perhaps does so because it’s scored to emerge and recede fluidly yet obviously. In the third movement ‘Andante’ a fertile, retrospective four-note gesture initiated by the oboe comes to shape everything that happens but in a rather less clear way; it ends up on the piano, suddenly a great deal more delicate than it was before (typical). What’s notable about all three Papillons scores is that it’s impossible to say, in each piece, what came from where: we can’t know for sure whether the oboe initiated that gesture mentioned above, for the simple reason that it could have emerged in one of the two companion pieces. In each, we’re made to feel more palpably aware of music happening in another place than in almost any other piece by Sørensen. In other words, we only know the half of it – or rather, the third of it – which means the Papillons works are best and most tantalizingly heard separately. Nevertheless, there are Sørensen hallmarks in Pantomime just as in Mignon: sandpaper in the percussion section and a few passages in which the entire ensemble plays a secondary instrument (chimes). The piece gets more agitato than you might expect (notably in the second movement ‘Scherzando’) but in the fifth movement ‘Fluente’ for piano alone there is more of that distilled counterpoint we heard in the Nocturnes. In both cases, Gislinge was fully engaged with the piece’s troubled emotional landscape. In the penultimate movement ‘Calmo con delicatezza’, she sometimes coiled around the movement’s anchoring winds and sometimes hung off them; she knows how the music is built, too. Earlier on the same day over at Trondheim’s shabby-chic Classical shoebox Frimurerlogen, Trio con Brio played Sørensen’s piano trio Phantasmagoria (2007). The hall’s faded wallpaper and whiff of glories past posed a neat context for a piece that was born, conceptually, with the idea of a gothic ruin. But maybe Frimurerlogen’s clear, untainted acoustics are just too good to evoke what classical radio host Esben Tange refers to in the sleeve note to Dacapo’s 2013 recording as the ‘play of shadows’ at work in Phantasmagoria. Its acoustic clarity and compact size offers more of an X-ray view of the piece; you can more easily audit where a theme emerges and where it finally sinks. But this closer, drier sound wasn’t just revealing in a structural sense. It’s easy to think of Phantasmagoria as a piece at a distance, at arms length, fading before the eyes. Seeing and hearing it up close with a slightly brash sounding piano (which coaxed the other players into projecting more clearly) made me think of the work in a more literal and narrative way. It can be compared to the method by which an aircraft’s navigation system uses gravity to locate the centre of the earth before beginning a journey. It can be compared to the method by which an aircraft’s navigation system uses gravity to locate the centre of the earth before beginning a journey, a process known as ‘alignment’. Is this what happens to a new piece of music over time, when the same ensemble becomes more familiar with it? In this case it seemed so – and made for a Phantasmagoria that might have been less ghostly and evocative but packed at least one surprising emotional punch: because the constituent parts had a more brittle, engaged relationship with one another, you sensed more tangibly the piece’s downward slide. By the time of the final movement’s collapse the piece could have been Sørensen’s very own Pathetique, all those shadowy prophecies coming good (or bad) in music that was as upfront and real as it had been dreamlike and aloof in my mind before. That process of alignment – of finding or recalibrating some sort of equilibrium – is felt in microcosm when Sørensen alights upon a single note, as in the first movement of Phantasmagoria when the piano fixates on a note and eventually offers the cello some space on it as well. Sørensen takes it further in L’isola della Città, the triple concerto that was premiered in Copenhagen back in January. Death, decline – and new life? There are developments from both Phantasmagoria and Papillons in the concerto: the throbbing waves are now bigger and thrown into more severe contrast, a way in which the mechanism of the ‘city’ (the orchestra) is heard against the calm of the ‘island’ (the trio). But it’s telling that a single note can prove so resonant an oasis in such a broad, deep score. When the trio attempts to pacify the orchestra it does so using the sanctity of a single-note offering. Only the double basses, the bogeymen of the piece, threaten to derail the accord by undercutting that note with another (that, in itself, might be a neat reference to the work’s two-tone opening). I still reckon L’isola della Città could turn out to be Sørensen’s masterpiece to date. This performance from Trio con Brio and the Trondheim Symphony Orchestra conducted by Arvid Engegård was more foregrounded and user-friendly than the Copenhagen premiere but frankly, not quite as good. Parts of the piece felt more closely aligned to American minimalism; some of its effects were more startling (as when the solo cello and tutti strings slide downward on a slow-motion glissando). There was also a stronger sense of a flat horizon, the disappearing point that the trio seems constantly drawn towards. But ultimately, we lost the sense of contrast between close-up quietness and distant volume, which rendered the concerto’s processes less organic and more logical (just as in Phantasmagoria). Was that a result of our familiarity with the piece or of the Trondheim orchestra’s inability to quite match the DR Symphony Orchestra in subtlety? Perhaps a bit of both. Add to that the intense quietness of the Norwegian audience, which gave the performance an extra focus that might paradoxically have robbed it of its blurred edges. Instead of sinking inexorably into the depths and the dust, Sørensen’s music, more and more, is finding clues to a different exit – maybe, even, to new life. I still reckon L’isola della Città could turn out to be Sørensen’s masterpiece to date, the work that outlives most of its predecessors with its brilliant refraction of concerto form, its breathtaking orchestration and its sense of both timbral and narrative distillation. But does it alter the discourse on the composer and his methods? Technically, perhaps not – distillation is, in fact, an appropriate word given the extent to which Sørensen is refining existing or developing techniques. In a broader sense, though, we might hear something in the trio’s final ‘slipping away’, just as in the upward glissandos and eventual transcendence of It Is Pain Flowing Down Slowly on a White Wall; that instead of sinking inexorably into the depths and the dust, Sørensen’s music, more and more, is finding clues to a different exit – maybe, even, to new life.